Yes! All of our packaging is recyclable. We care about feeding our furry loved ones the healthiest food possible while also keeping our carbon footprint as small as possible, and we've taken measures to do exactly that. 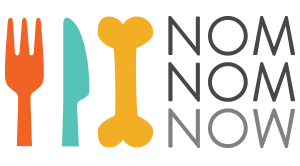 This blog post provides complete instructions on how to re-use and recycle every part of NomNomNow packaging. I don't feel the recycle instruction is clear, especially for the plastic. Can you provide a clear instruction on how to recycle dirty #2 plastic. I don't think stores like target accept soiled plastic. Also, I was told the plastic wrapping the food is #4. Please clarify. Thank you.